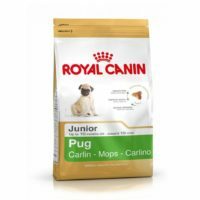 Stock ‘best before’ 12/2019[fresh] or an even fresher date for both 1.5kg and 3 kg packets. 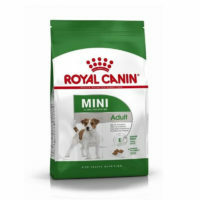 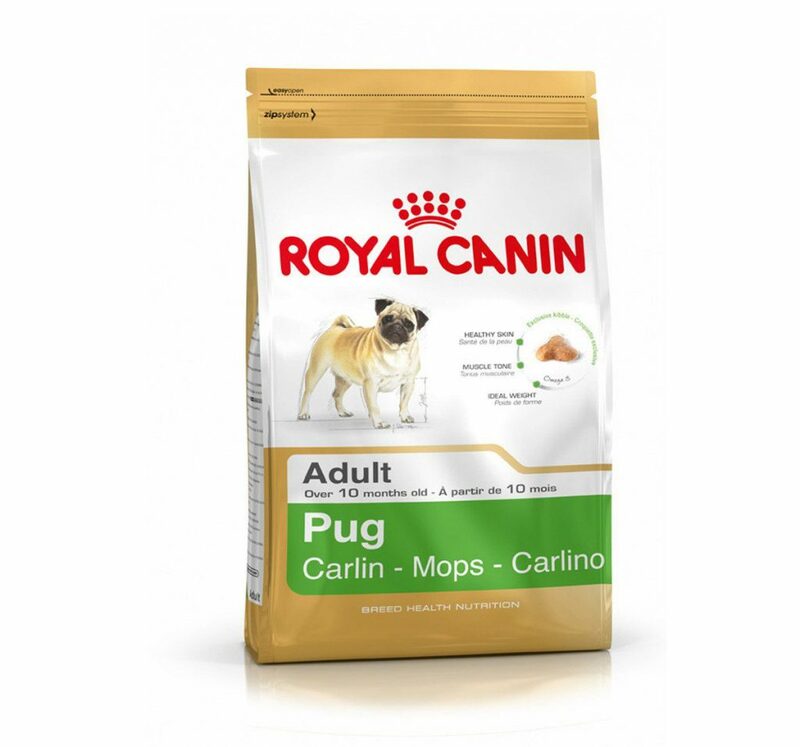 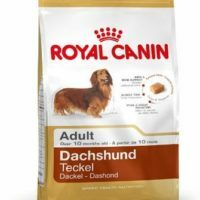 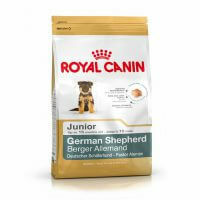 This dog food from royal canin is a complete feed specialized for adult pugs above 12 months old. Dehydrated poultry protein, rice, maize, animal fats, beet pulp, vegetable protein isolate*, maize flour, maize gluten, hydrolysed animal proteins, minerals, fish oil, soya oil, fructo-oligo-saccharides, hydrolysed yeast (source of manno-oligo-saccharides), borage oil, marigold extract (source of lutein).ADDITIVES (per kg): Nutritional additives: Vitamin A: 31500 IU, Vitamin D3: 800 IU, E1 (Iron): 43 mg, E2 (Iodine): 4.3 mg, E4 (Copper): 8 mg, E5 (Manganese): 56 mg, E6 (Zinc): 168 mg, E8 (Selenium): 0.07 mg – Technological additives: Pentasodium triphosphate: 3.5 g – Preservatives – Antioxidants.ANALYTICAL CONSTITUENTS: Protein: 29% – Fat content: 18% – Crude ash: 7.1% – Crude fibres: 1.5% – Per kg: Omega 3 fatty acids: 6.8 g including EPA & DHA: 3 g.*L.I.P. : protein selected for its very high assimilation.